J.L. 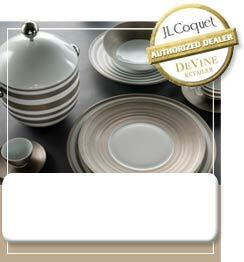 Coquet china, also known as Jean Louis Coquet, is tableware crafted just a few miles from the city of Limoges. To learn more about the history of Jean Louis Coquet, please click here.